In a post of yester-year, I explained Cusack Music Theory… Mainly this involves a fairly loose interpretation of my perception of the music appreciation genius that is the Cusack. (Please tell me you know who John Cusack is.) For a little extra fun when reviewing music, I add an extra rating. 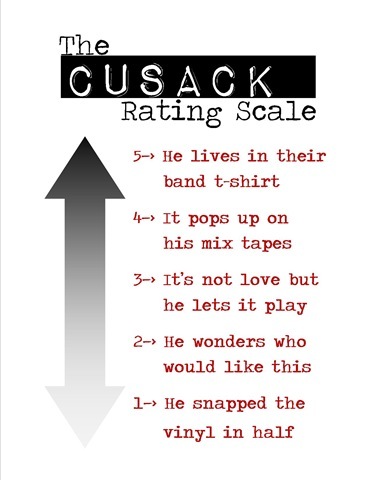 The Cusack Rating Scale.